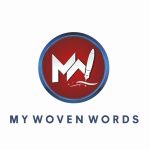 Today, on My Woven Words, we’ll talk about the attributes of leadership. Broadly speaking, there are two types of people in the world. One type is known as LEADERS, and the other as FOLLOWERS. Decide at the outset whether you intend to become a leader in your chosen calling, or remain a follower. The difference in compensation is vast. The follower cannot reasonably expect the compensation to which a leader is entitled, although many followers make the mistake of expecting such pay. 1. UNWAVERING COURAGE based upon knowledge of self, and of one’s occupation. No follower wishes to be dominated by a leader who lacks self confidence and courage. No intelligent follower will be dominated by such a leader very long.